For every major concert that we have, we also have a choir workshop. These choir workshops occur on the Saturday two weeks before the concert. They are an essential aspect of our choir year. This is the number one reason why we have choir workshops. Our usual rehearsals only allow us a certain amount of time with our music, so a three hour workshop gives us a lot more time to get down to the detailed aspects of our music. It also allows us to rehearse with other musicians or musical guests we may be performing with at our concert. Often times our workshops include guest conductors, clinicians, musicians or other choirs who will be joining us in our concert. Working with them gives our choristers a new perspective, or new information about music. As well, it gives us a chance to work with, and learn from professional musicians from the local Calgary music scene. A comprehensive understanding of each piece of music is essential to performance, and to a well-rounded musical education. It is never enough to just know the words, notes, and rhythms. We spend time during rehearsals, and at our workshops discussing how the text informs the music we’re singing. It gives us a larger sense of the choral music, and it makes us better musicians! Part of being in a choir is the great pleasure of singing as part of a group. 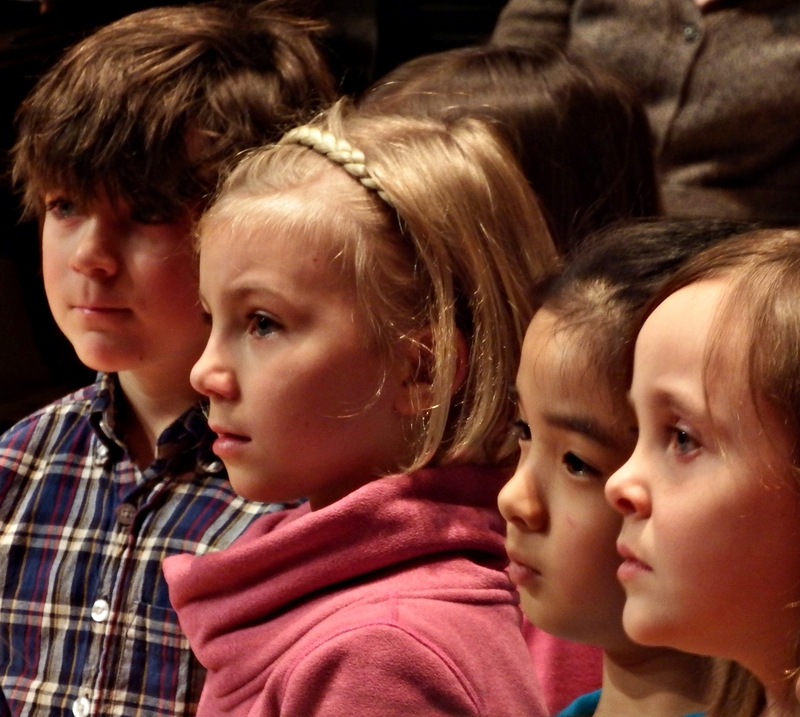 We are so lucky at the Calgary Children’s Choir to have very inclusive, and engaging choristers! The reason why our choristers enjoy spending time together, is because we encourage them to get to know one another at choir camp, rehearsals, and of course – at choir workshops. At workshops, choristers have time during sectionals, and at breaks to spend time with one another, and find out more about the people they’re singing with! What is your favourite part of a choir workshop? Tell us in the comments below!